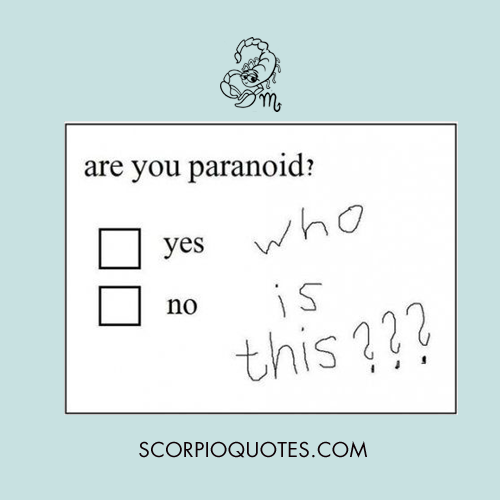 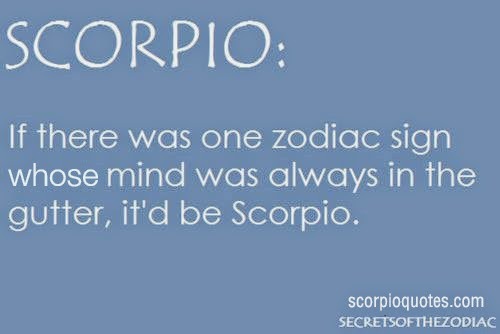 I'm a Scorpio. 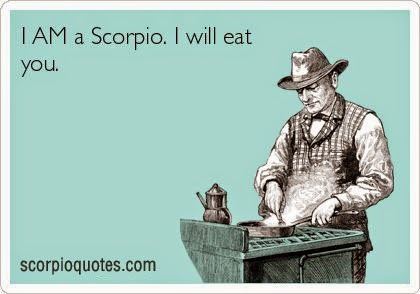 I will eat you. 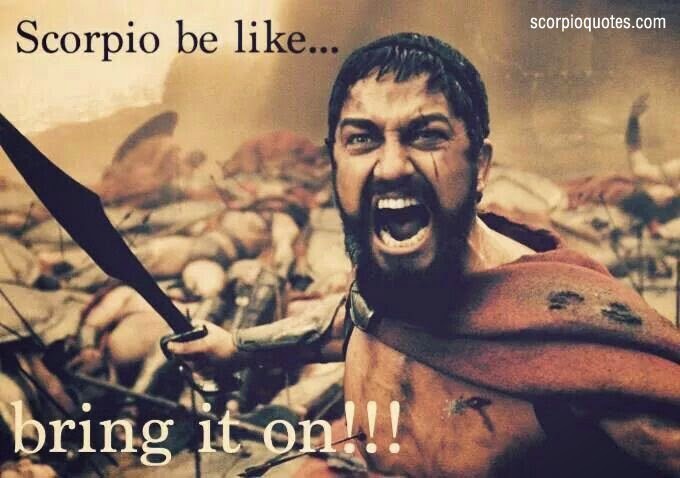 Scorpios be like: Bring it on! 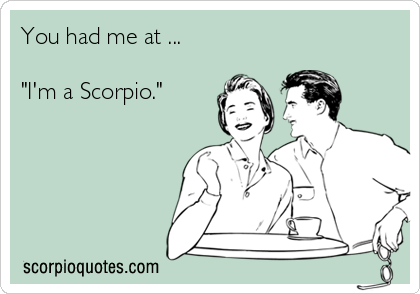 You had me at "I'm a Scorpio." 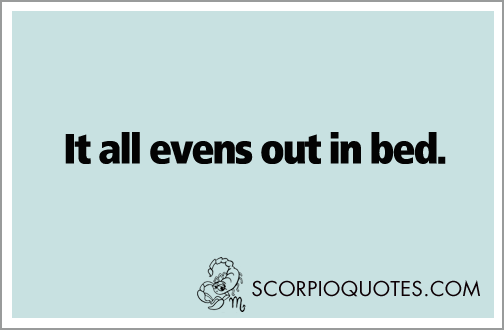 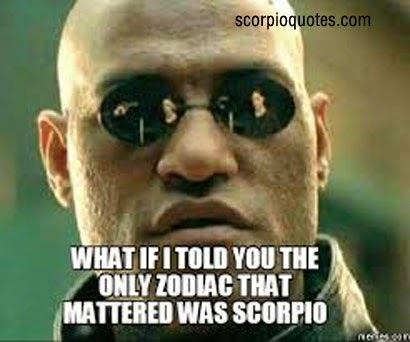 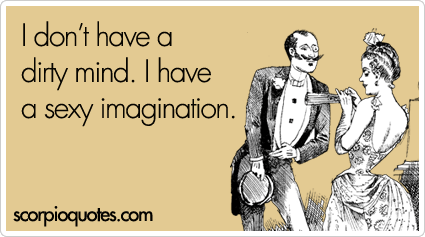 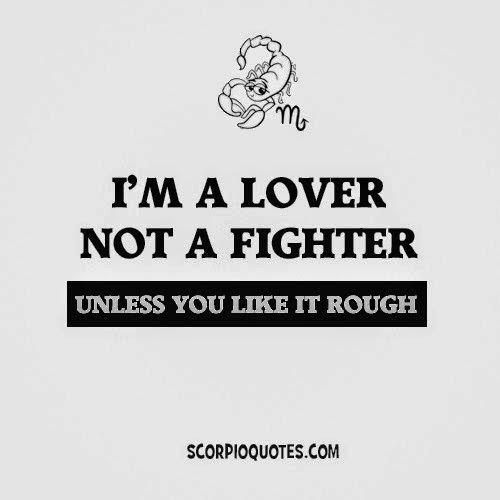 If there was one zodiac sign whose mind is always in the gutter, it's Scorpio. 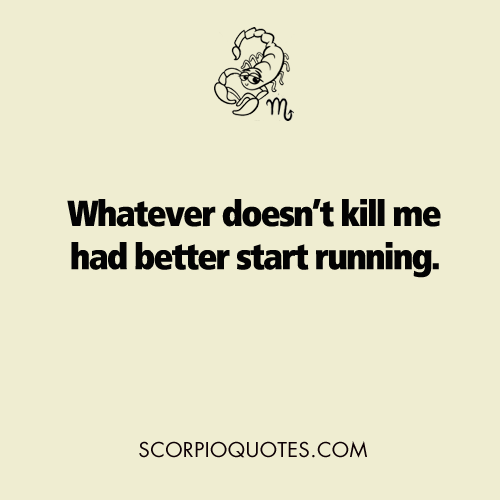 Whatever doesn't kill me had better start running. 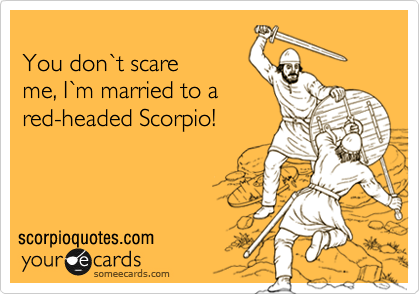 You don't Scare me... 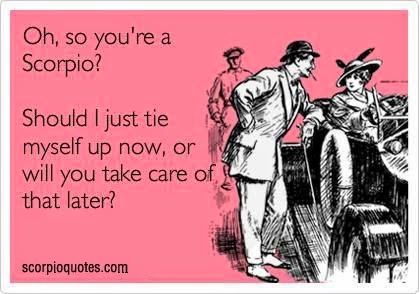 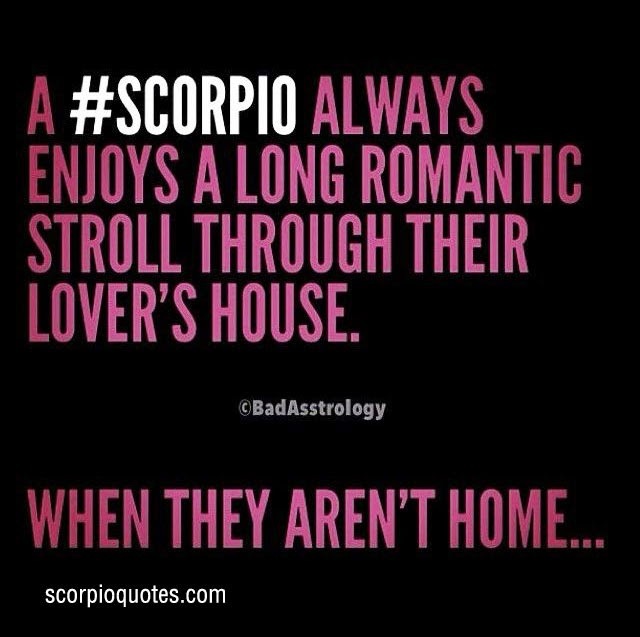 I'm married to a Scorpio. 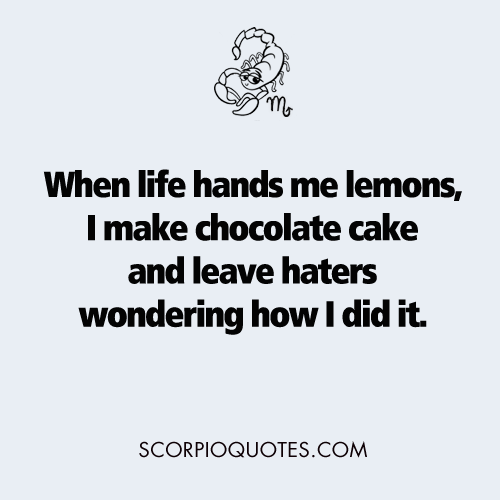 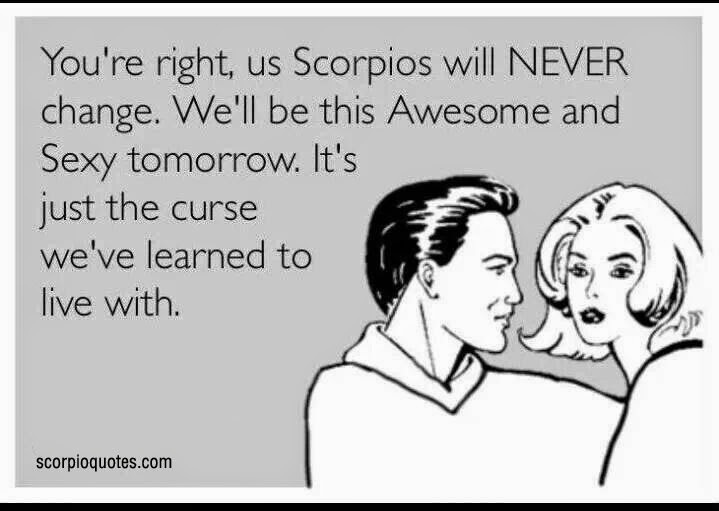 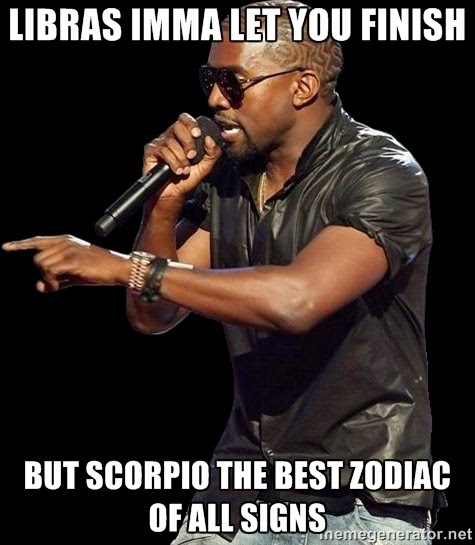 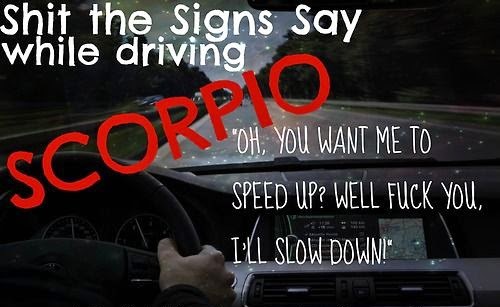 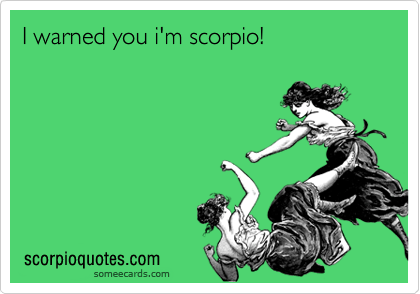 I warned you I'm Scorpio! 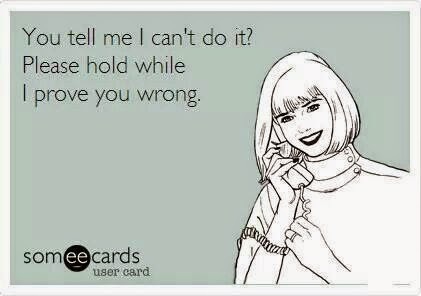 You tell me I can't do it? 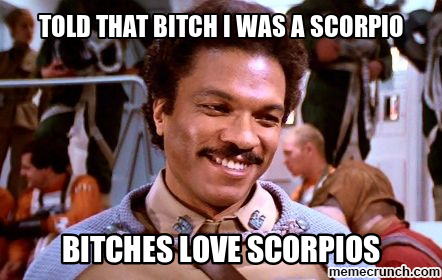 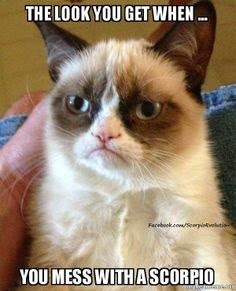 The look you get when you mess with a Scorpio. 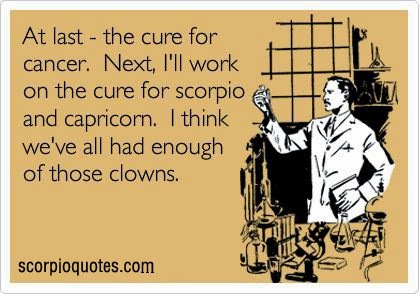 At last the cure for cancer!